Maccabi USA is seeking qualified Jewish tennis players, ages 17-65+, to represent the United States on the Juniors, Open, Paralympic, Masters, and Grand Masters teams at the Pan American Maccabiah Games in Mexico City, Mexico on July 5-15, 2019, and the European Maccabiah Games in Budapest, Hungary on July 28-Aug. 7, 2019. Maccabi USA will take a collective team of approximately 700 athletes and volunteer staff members for the competitions. The World Maccabiah Games is the world’s third-largest international sporting event and will consist of more than 9,000 athletes from 75 countries participating in 42 different sports. 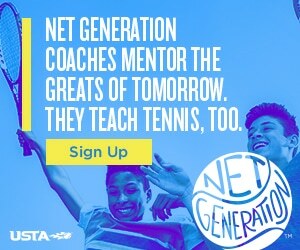 For more info go to www.maccabiusa.com/tennis.